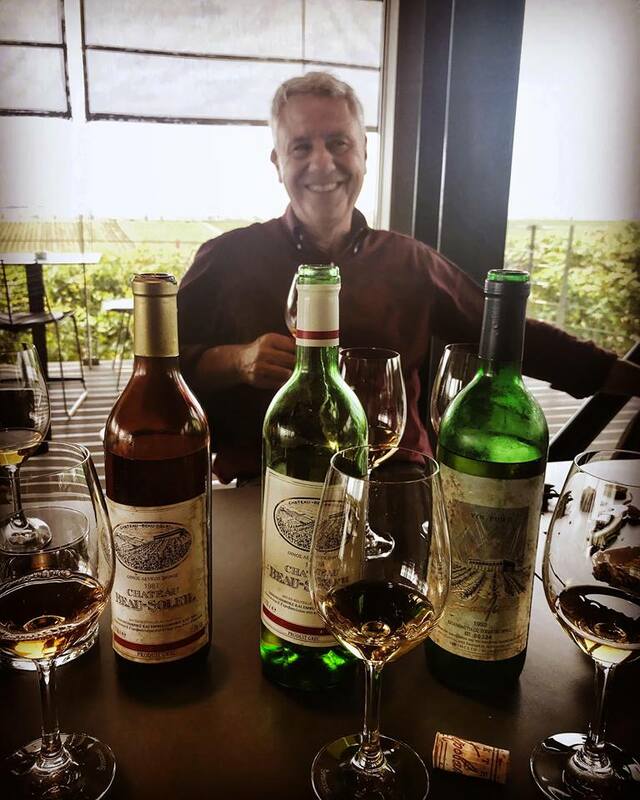 During a recent visit to Epanomi and Ktima Gerovassiliou, in Thessaloniki, I was offered the opportunity to share a tasting of Greek wine history with Evangelos Gerovassiliou (pictured below) and Argyris Gerovassiliou; his beautiful estate is a wine destination that should not be missed. It emanates an aura reminiscent of Tuscany, despite being in Greece. I tasted both whites and reds. We started with his new rosé , which is produced with the method of direct pressing and has an abv of 13,6%; the output is 20.000 bottles. Very fresh, with impressive lively acidity and tension (pH 3.22) showing the varietal typicity of Xinomavro; red cherries together with some herbal and mineral nuances. Gerovassiliou comments that “this will have a screw cap, so as to preserve fruit purity''. ''I am generally considering the use of screw caps for all the whites in the near future” he adds. 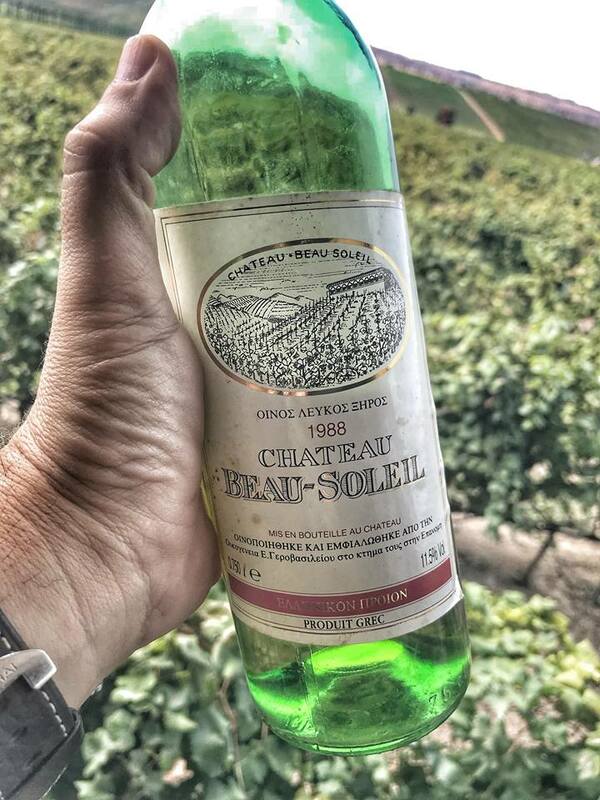 The whites went back to 1987; the white blend of Malagousia and Assyrtiko, that is now named Ktima white, was called Beau Soleil at that time. I knew the story but I had never tasted this wine. I was really surprised when I saw the line up that included 1987 and 1988 Beau Soleil, 1992, 1994, 2002, 2007, 2011 under screw cap, and 2017 white Ktima. 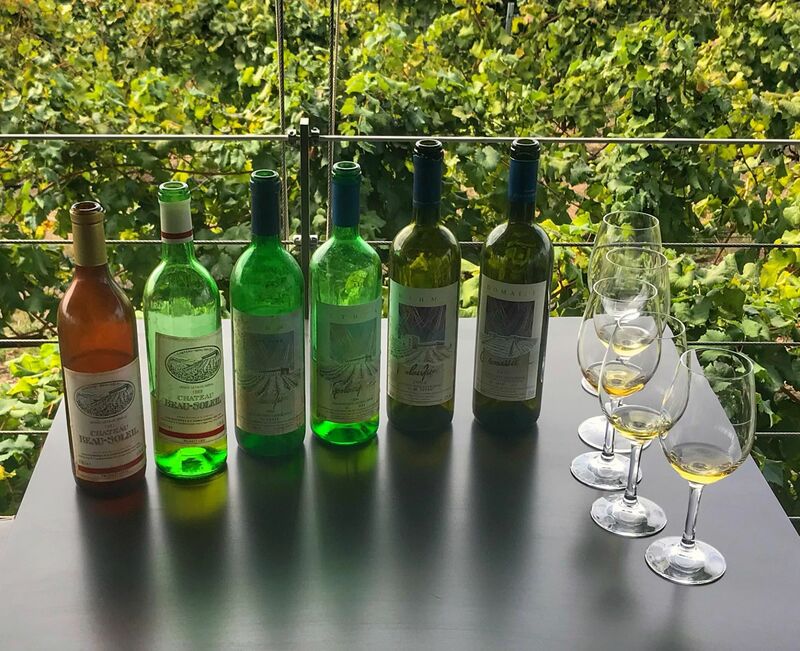 Among these rare wines, that were an introduction to Gerovassiliou wines, 1988 was a shock; herbal, with light oxidative notes, along a harmonious, very elegant palate. Poised with citrus fruit and 11.5% abv (these were the days). Could hold for another 2-3 years. Other favourites, included the 1994 - lightly oaked, creamy with 12% abv; a gastronomic, very complex wine. Ktima 2002 drank perfectly now and exhibited a combination of honey and mint. Of the younger vintages the 2011, which had a screw cap, looked very vibrant, as if it were only 3-4 years old, and had sound varietal typicity; the 2017 is still a baby. It’s a pity we drink some of these wines far too young in Greece. It takes time to educate a broader audience. A couple of Malagousia wines were also included – the 2008 and 2010, with the latter still showing strength. Gerovassiliou commented that it is hard for Malagousia to exceed a decade of life unless it is treated with oak. I am always amazed when I am facing legendary wines. There is a moment of meditation before you pull out the cork and fill a glass. Will it be good and drinkable? What are the chances of something vinified in the 70’s or 80’s, with the methods used at that time, to be in good shape? It is a moment of silence and also a moment of truth. As we walked into the cellar my eye caught a ’71 Porto Carras, which I later discovered was the first vintage of Porto Carras; Gerovassiliou had worked there until the early '90s, before he established Ktima Gerovassiliou in Epanomi. I had not tasted this wine, also a birth vintage, despite the fact that Gregory Michailos and I (aka Wine Commanders) had held a thorough vertical of Porto Carras - back to 1975. This is bottle number 1, which has a terrible cork, yet the wine is smooth, and as warm as a hug, in perfect balance, and delicious. Hard to imagine how it would have been with a better quality cork. 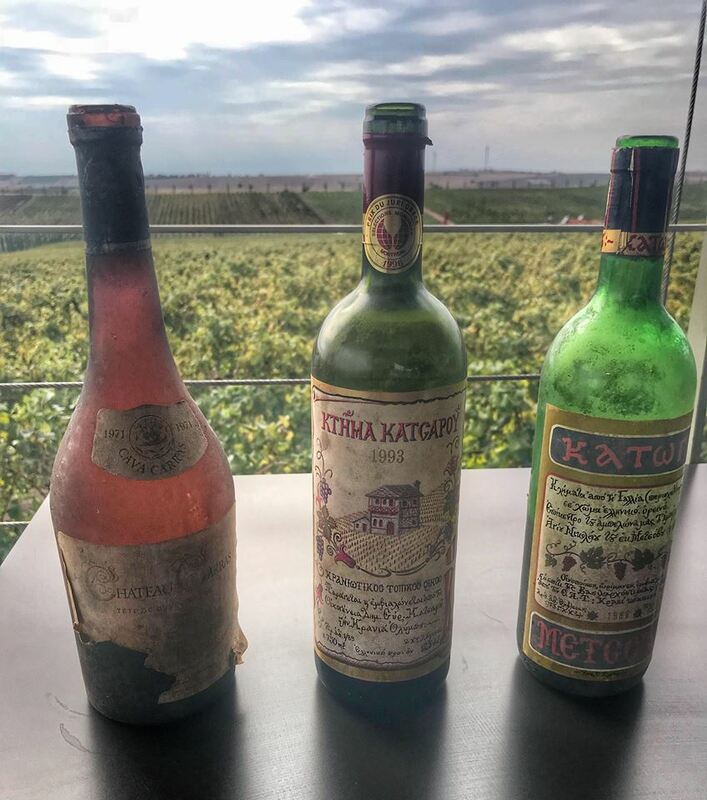 Bottle number 2 and 3 were Katogi 1986 and Katsaros Estate 1993 respectively; both wines with which Gerovassiliou had been involved. Katogi is slightly corked on the nose, better on the palate, with firm tannins and gamey notes. More like old lace, but still very enjoyable. The wine of the day, for the reds, was the divine 1993 Katsaros from the mountainous Krania terroir in North Central Greece. Very Bordeaux like, pure and complex with mouthwatering acid and solid tannins. At 25 years of age it seems as if it entering its adolescence phase.